Public Enemy, the self-titled “prophets of rage,” didn’t merely succeed at hip hop, they defined it. As Adam Rauch wrote for Rolling Stone, they “completely changed the game musically,” and that game-changing style propelled them to the top of the music world. LA Times music critic Robert Hilburn called their first four albums “the most acclaimed body of work ever by a rap act;” Rolling Stone ranked them at 44 on their 100 Greatest Artists list — the highest ranking of any rap or hip hop act — and in 2013 they were inducted into the Rock and Roll Hall of Fame. This breadth of knowledge would be crucial to the musical technique that they adopted and helped define: sampling, wherein sounds, often from other albums, are recorded, manipulated and then pieced back together to create a new musical work. Almost as soon as audio tape came into being in the 1930s musicians had begun experimenting with it, putting together pieces from different sources to create new works out of the “found” parts. “Tape music” was performed as early as 1944, and in 1953 John Cage presented a piece composed of 600 different sounds that he’d recorded over the course of a year. Laurie Anderson developed a “tape-bow” violin in 1977 for her live and recorded art music pieces. But it was hip hop that plucked sampling from the experimental fringes and placed it front and center for all to hear. Sampling basically comes from the fact that rap music is not music. It's rap over music. So vocals were used over records in the very beginning stages of hip-hop. In the late 1980s, rappers were recording over live bands who were basically emulating the sounds off of the records. Eventually, you had synthesizers and samplers, which would take sounds that would then get arranged or looped, so rappers can still do their thing over it. The arrangement of sounds taken from recordings came around 1984 to 1989. No one was more instrumental to the development of sampling as the essence of hip hop than Public Enemy and The Bomb Squad, who had joined forces after meeting at Adelphi College on Long Island in the early 80s. David Sheridan called their 1987 debut album, Yo! Bum Rush the Show “a brilliant combination of hard-edged guitar, largely supplied by Vernon Reid, and off-kilter samples of all descriptions, topped with in-your-face raps by Chuck [D] and [Flavor] Flav.” Their followup album, It Takes a Nation of Millions to Hold us Back, hit 42 on the Billboard Pop Albums chart and was nominated for a Grammy. 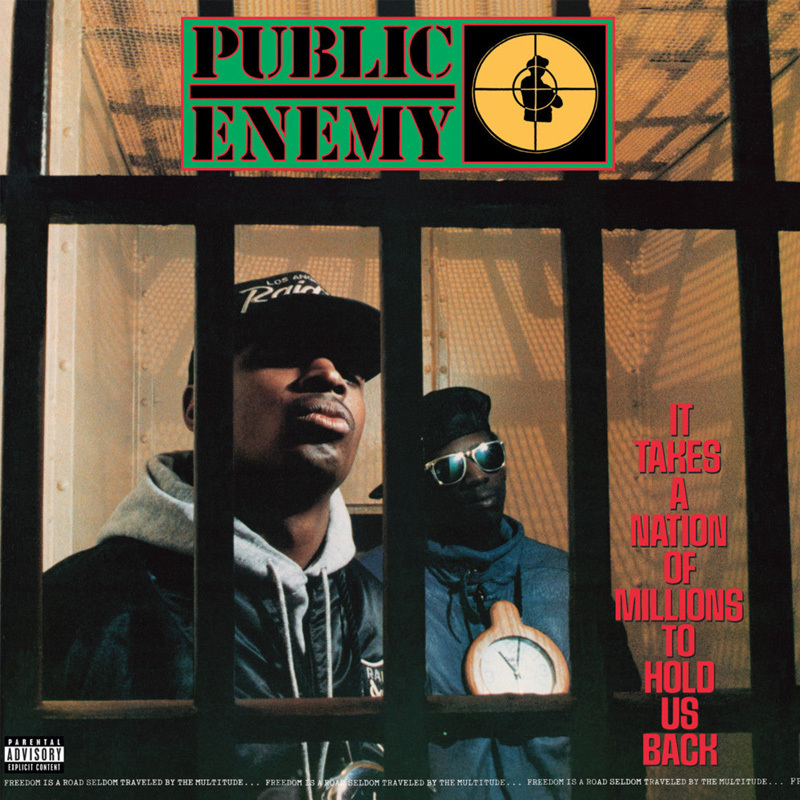 According to Rolling Stone, the album, which showcased Public Enemy’s “unique, noisy, layered avant-garde-inspired sound that incorporated sirens, skittering turntable scratches, and cleverly juxtaposed musical and spoken samples,” was “immediately hailed as a masterpiece.” And in 1990 their third album, Fear of a Black Planet, was even more successful. Public Enemy's “Fight the Power” was a quantum leap for rap music. In the late '80s, hip hop songs used only a few samples each, with the beat often created with a single break from an old funk recording ... But “Fight the Power” featured a large number of samples that were layered and altered so heavily that it was hard to identify the sources … “Fight the Power” was a masterpiece of sound collage. That desire to destroy music, to excise from it any smoothness and melody and deliver an end product that was edgy and raw, may have been the goal … but it was a goal advanced not only by the efforts of Shocklee and the rest of The Bomb Squad but also by genuine technological limitations. In short, the electronics available in the late ‘80s simply could not reproduce sound as accurately as some might have liked, but they were perfect for Shocklee in helping to produce what became Public Enemy’s distinctive sound. Before there were dedicated sampling machines, musicians used the sampling capabilities of drum machines. 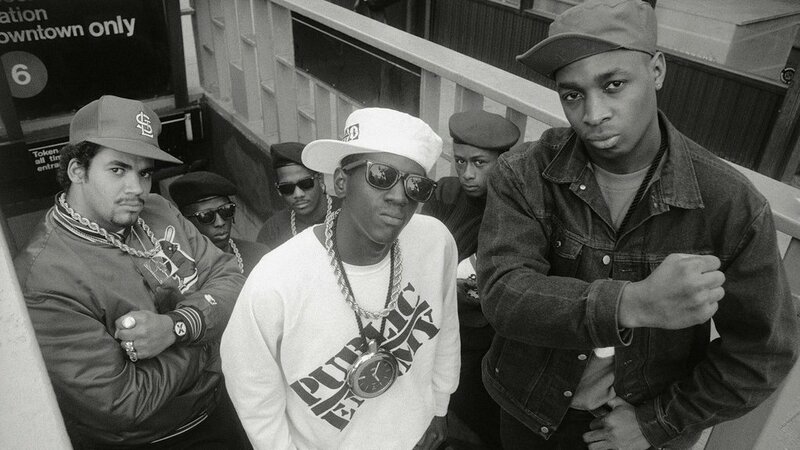 Public Enemy DJ Johnny Juice told Guitar Center that the group made extensive use of a Korg DDD-1 drum machine, an E-mu SP1200, “an integral part” of the sound on It Takes a Nation, a Roland TR-808, and others; Shocklee recalled also using an Ensoniq Mirage, an Akai MP60, and eventually an Akai S-900, the only truly professional sampling machine of the group. Of the Roland, which became such a classic that it inspired band names and tribute songs, Vintage Synth said, “the TR-808 was OK in its time — it just didn't sound like real drums.” Further, all of the machines were limited by their 12-bit capacity (8-bit in the case of the Ensoniq). But short samples weren’t the only or the most important limitation. The speed-altering “cheating” that Shocklee used introduced distortion, which added to the already-audible limitations of the 8- and 12-bit systems. Shocklee told Mix that he preferred the resulting low-fidelity sound because “you can't pick out the exact instrument and things that are going on, and it kind of meshes it all together, so the frequencies of where the guitar and the bass come in are not clearly defined,” which perhaps helps explain why the group doesn’t mention using any of the 16-bit machines that were already on the market at the time. The samples were further distorted by sharp clipping at their endpoints, which Shocklee’s brother Keith, a fellow member of The Bomb Squad, told Mix “gave it a rough sound, a real edgy sound.” But even that wasn’t enough distortion for the team. Shocklee told Buskin that they used a looping technique that “meant putting massive amounts of compression on it so that it would distort and placing it in the background of the main loop to give it some body.” And he also told of the time that he and Sadler discovered that the sound coming from the SP-1200 was “ridiculously lo-fi” because a jack had accidentally been pushed only halfway in; rather than fix the problem, they used it in the production of It Takes a Nation. Part of the sound was in the dirt that we would get from the samples, whether it be hiss from the record or a crackle on top of the kick that had [other sound engineers] trying to zero in on that frequency and figure out a way to get rid of it. I'd be sitting there, saying, 'No, you need to boost that...' It was about that extra funk which I'd want to feel; that extra dirtiness which would make the fans of Public Enemy feel like we're from the gutter. This was the street; not clean, not processed. From the street; not clean; not processed. 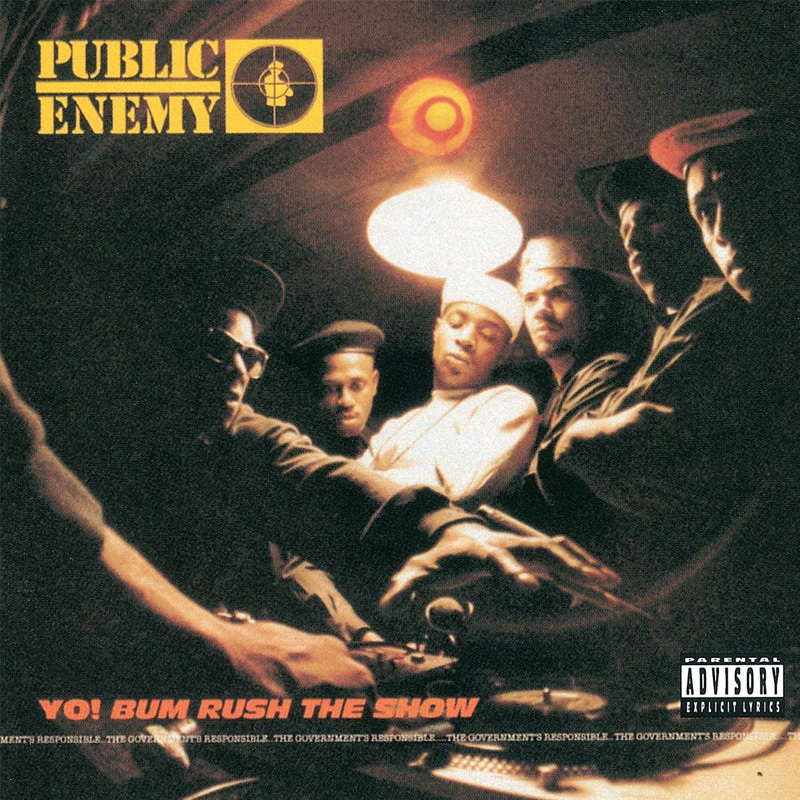 That was the Public Enemy sound, and it came together as a result of hundreds of hours of research, countless experiments… and the limitations of 1980s technology. With just 8-bit capability and samples limited to just 6.5 seconds, Vintage Synth’s description “pretty old-school specs by today's standards” seems a bit of an underbid — but this classic, one of the first affordable synthesizers, was an integral part of The Bomb Squad’s ensemble of tools. The Korg DDD-1 drum machine featured 18 different drum sounds and the ability to modify those sounds in various ways. While limited by today’s standards, the DDD-1 helped get The Bomb Squad started in drum sampling; Johnny Juice told Guitar Center it was their initial drum machine. Vintage Synth calls the SP-1200 THE drum machine and sampler combo to rap and hip hop artists in the ‘80s, and ‘90s, including Public Enemy. The SP-1200’s predecessor, the SP-12, had been limited to samples of just 1.2 seconds in its original form; the SP-1200 could handle 10 seconds. The 1200 was so popular that it was re-released in 1997, and it is still cherished today for its gritty sound. The TR-808 drum machine, which Robert Henke called “a piece of art” in an interview with The Wire, is such a legend in the hip-hop world that it even inspired its own tribute album, Kanye West’s 808s and Heartbreak. Its obviously synthetic analog tones were initially the cause of widespread criticism but it went on to become a fixture of the dance and hip-hop scene. The compact music production studio that Vintage Syth calls “main instrument of HipHop production,” MPC-60 helped The Bomb Squad and countless others create thousands of tracks in the late 1980s and 1990s. With its 63 second sample maximum, the Akai S900, which Vintage Syth calls the company’s “first truly professional sampler,” was the most sophisticated of those regularly used by The Bomb Squad on its early productions.